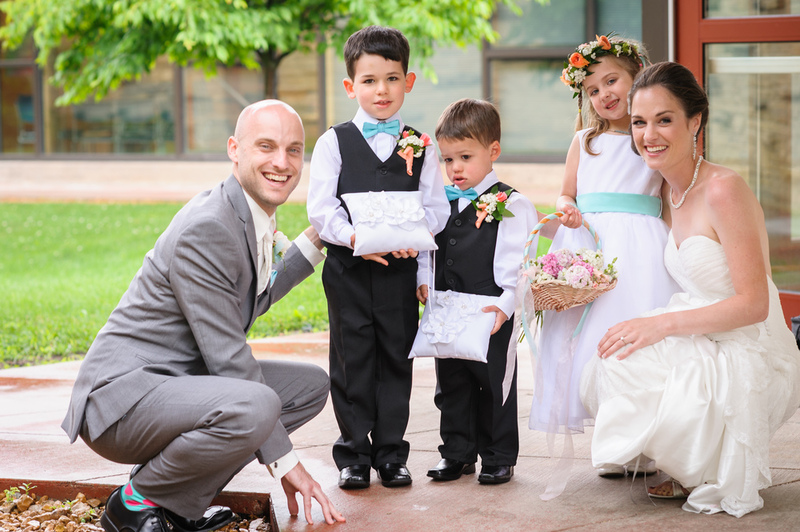 Liza and Luke's wedding was the perfect, perfect start to our inaugural wedding season. We lucked out with snagging one of the sweetest, most appreciative couples we've met to date, a gorgeous summer day and a sunset over Lake Mendota that rivals most artists' renditions! 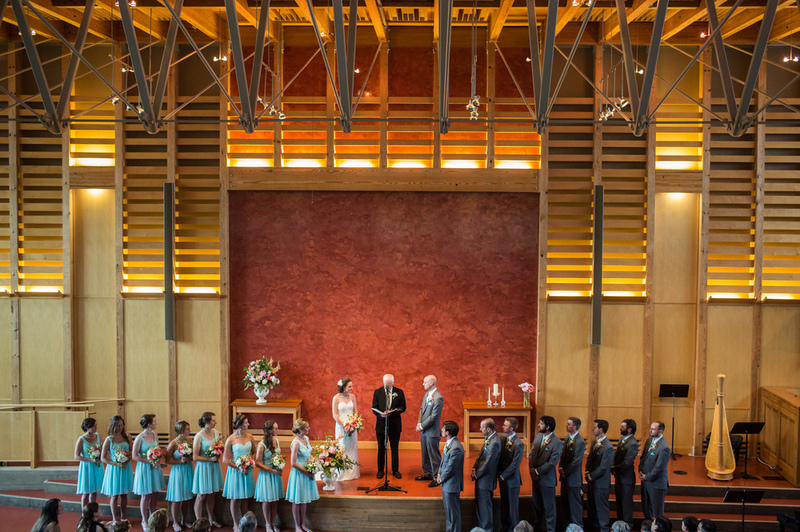 Liza and Luke's ceremony took place at the gorgeous First Unitarian Society (built by Frank Lloyd Wright), with dinner and dancing at the Edgewater to follow. 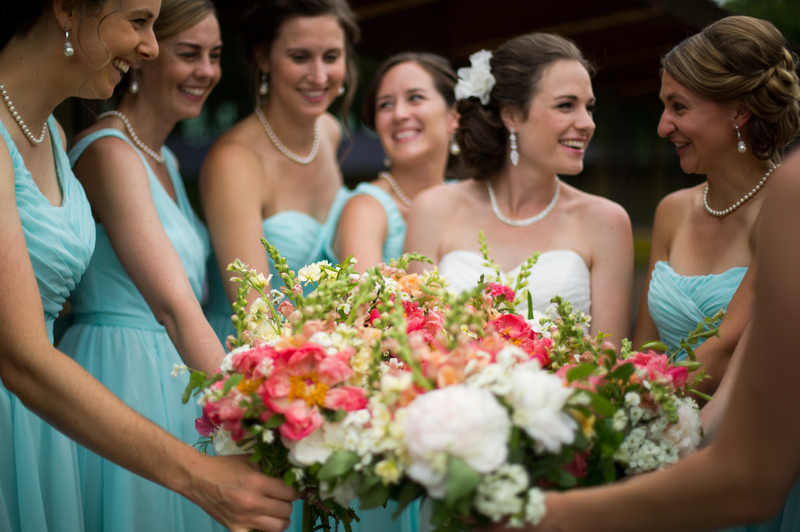 On top of the fact that these venues are simply stunning on their own, Liza and Luke chose to punctuate their day with bright summer florals and turquoise accents - a color palette we can get behind any day!! Liza and Luke are huge music fans, so it only made sense that their reception was very much about special music in their lives (seriously, they met while singing karaoke). We were seriously obsessed with their wedding favors - personalized CDs for each of their guests to take home. We know lots of couples dream up this idea, but we were so happy to see Liza & Luke actually follow through with it! The perfect cap to the night was the dancing... we've never seen such a FUN, energetic couple and wedding party - the dance floor was humming ALL NIGHT! Thank you, Liza & Luke, for a wonderful wedding! We wish you two all the best!